Humbled, honored, grateful, and excited about the opportunity to speak at O'Reilly Velocity (@velocityconf) - London, in Oct (I am also speaking at USENIX @SREcon - Dublin, Ireland, in Aug). 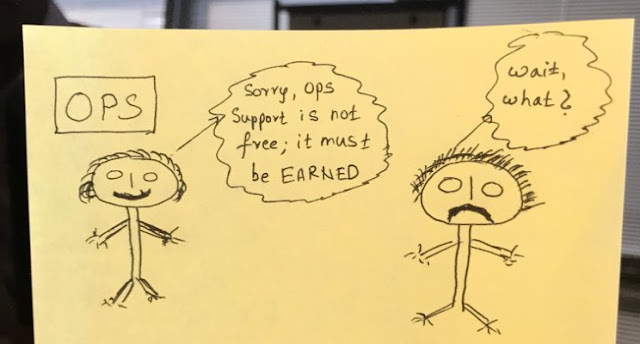 The idea that I am trying to spread through these talks is simple: aligning the incentives between the core development teams and the support functions which enable those teams to do their jobs effectively leads to better outcomes -- usually in the form of improved Velocity and Reliability. Why pick a talk specifically on Monitoring? Well, over-monitoring and alert fatigue is a real problem that plagues several industries; not just tech. As you know, telemetry monitors and their (constant) beeping is a pretty common sight in hospitals. In fact, I saw these at the NICU where my twins were being cared for after being born prematurely. My wife and I used to freak out every time one of these went off. Unlike a missed alarm that said your site's down, failing to act on an alarm at a hospital can have much more critical consequences; in 2010 at a hospital in Massachusetts, a patient's death was directly linked to telemetry monitoring after alarms signaling a critical event went unnoticed by 10 nurses. Hope to see you there :) I'll try to make it fun!